New manual coming soon! The Sentinel only available in one model now! I decided to put this together based on comments and observations at the last two dive shows. Why did I design the Sentinel (S) and how does it differ from the Ouroboros (OR). 95% of divers will never take this rebreather anywhere near its' performance limits. So the challenge is to make a rebreather more cost effectively but still with an acceptable (and high) degree of performance. low overall work of breathing and the size of the unit (in particular the mouthpiece). 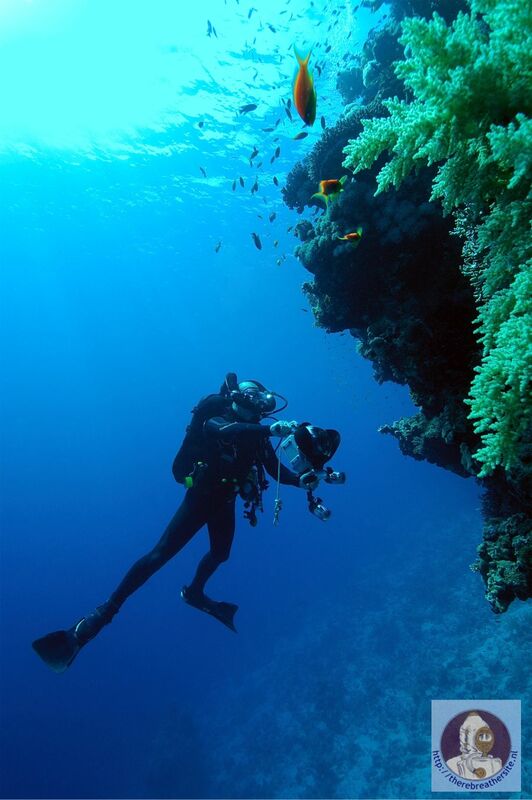 breathing performance is poor, the safety of the diver will be compromised. The energy expended by a diver to push gas around a rebreather is a combination of three primary things. 1. The resistance to flow of all the bores within the unit (houses, mouthpiece etc.). At the surface as a diver breathes out and in again a breathing performance analyser will show a rise and then fall in pressure throughout the breathing cycle. This is known as the Pressure/Volume diagram or PV diagram. At the surface it is a sideways ellipse about zero pressure, much like the shape of your eye. The area within this ellipse is measured in Joules/liter and is known as the Resistive Effort (RE) required to push gas around the breathing circuit. At depth with increased gas density this ellipse will fatten, increasing the Joules/liter. An increase in breathing rate also increases the joules/liter. If the counterlung you are breathing into is too small for a standard breath, the two ends of the ellipse will turn up and down respectively. Further degrading the 'breathing feel' and increasing the peak to peak pressure felt by the diver. A low RE is essential in any rebreather design as the effects of it cannot be compensated for by the diver, it is purely a function of the mechanics of the rebreather. 2. Once the unit is submerged, hydrostatic effect now plays a part. Depending on the test position (vertical or horizontal), the shape of the counterlungs (long/thin Vs doughnut etc.) and their position in the set will affect the angle of the ellipse. The ellipse, previously about zero, will tilt up to add a minimum and maximum peak pressure to the PV ellipse. These peak to peak pressures also affect 'breathing feel'. If the Counterlungs (CL ) are long and this and the unit is anywhere other than horizontal the PV will start to angle up considerably, again degrading the 'breathing feel'. A CL of a safe minimum size (so as not to affect 1 above), shaped around the centroid position of the divers lungs will produce lower peak to peak pressures. Both this and the RE are tested at depth with high ventilation rates, as again the diver can do nothing to correct these issues in set design except breathe slower. Hence the results from 1 and 2 are additive and go towards the total 'breathing feel' of the unit. 3. A final function is important and that is the Rotational Hydrostatic Effect ((HE). This simulates the diver moving into different positions. It is function of 1 and 2 above and the counterlung position (and shape) with reference to lung centroid in these varying positions. It is currently conducted with a fixed loop volume so that comparisons can be drawn. The rotation has the effect of moving the angled PV diagram up and down about the zero point (and in some cases modifying the angle) and in effect creating an offset (addition/subtraction) in peak pressure. So for the total 'breathing feel' of a set, 1,2 and 3 are all added together at this stage. Test 3 gives the only result where the diver has the ability to compensate for the pressures seen at the mouthpiece as they can vent or inject manually in the different positions or change position, thus improving the 'feel' somewhat. Units with overshoulder counterlungs generally have a lower HE. But if counterlung volumes are excessive or are not constrained, the HE results can be compromised significantly. Backmounted counterlungs traditionally show high HE when the diver is swimming on their back. So given that the total breathing feel of a set is a function of all three of the above, almost any CL concept can be made to generate a good overall work of breathing. Overshoulder counterlungs traditionally solve the HE problem quite well but designs often compromise items 1 and 2 as a result, which remain un-adjustable by the diver. Over-shoulder CL's have their own issues such as 'harness clutter' and large buoyancy shifts, which can in-turn affect the sets ability to track PO2 setpoint accurately. Traditionally we have been led to believe that axial designs are a low-duration performer and radial is high. This is not always the case. What can be said is that radial designs have a lower breathing resistance due to the bed length and are often less prone to packing errors due to the bed height versus the pack down % (at least in doughnut radials). The Sentinel can use three different absorbent systems in the same mechanics. Each can interface with our Canister Duration Meter (CDM) which is a licensed United States Navy product we have rights to. The CDM is a thermal system which predicts the 5mb CO2 point on a duration curve. Version 1 is a user-packed granular system. The absorbent canister is located over the CDM and filled. Being a user-packed axial design you are required to tap the sides of the canister and then refill it to the top again (as per the instructions) before replacing the lid. The CDM assembly is spring loaded into the canister base and the base fitted back into the rebreathers’ centre section. This process disengages the spring plate and forces the canister up into a seal in the canister head. Both auto-aligning the filter and continuously re-packing it during use. Version 2 uses a pre-packed, disposable granular cartridge which is 'snow storm filled' to remove packing errors. It in turn fits onto the CDM and locates in the same way. Version 3 uses the polymer bonded Extend air cartridges which again locate on the CDM in the same way. When using versions 2 and 3, an additional sealing O ring at the base of the CDM comes into play and like the top seal should be kept clean and greased. The Extend air cartridges give several advantages over granules such as a lower breathing resistance and easier flood recovery. The unit comes as standard with one back-mounted counterlung (CL). This CL is teed off of the inhale side of the loop at the output of the canister head, hence the inhale breathing hose is not actually connected to it, it is just provides an expandable volume. In a head-down position water will preferentially drain into the CL. When the diver goes head-up again, water drains back to the canister base where the water/gas dump is positioned. Mid 2008 a second option will be available. The set will be available without its' hard case. Cylinders will attach to the canister centre section as will a harness/BCD support and a single, cordura covered CL will plug into the existing CL position and be attached over the shoulders to the harness. This configuration will allow the diver to travel with a small/lighter set. The set has no high-pressure (HP) hoses. It uses digital HP sensors fitted directly into the first stage. The digital HP provides content and usage/leak alarms. The set uses the same oxygen solenoid as the Ouroboros. It is rated to over 15 bar as an interstage pressure. The regulator first stages are Poseidon Extremes with a 12 bar (approx.) over pressure valve (OPV), primarily to protect the solenoid and low pressure (LP) piping. The LP circuit does not use conventional hoses. It uses super-flexible LP tubing with a woven protective cover with a burst pressure of 200 bar. The tubing is more resilient to UV and saltwater in long-term use than rubber. It is also lighter and more flexible. A Level 1 system does not have any manual gas addition (bypass) valves. Levels 2 and 3 have gas injection blocks mounted on the shoulders of the harness (one each side). The block can manually inject gas into the loop. On a level 3 unit each block also has an isolating slider for the oxygen solenoid and the automatic diluent valve (ADV) should they fail in an open position. A level 3 unit can also have an off-board gas connector (Swagelok) fitted to each block. This system is unique in that it not only allows off-board gas to be injected manually but it also routes it through the automation (ADV, solenoid). The diluent off-board is even available at the Bailout Valve (BOV). The BOV is integrated into the mouthpiece (which is neutral in-water). The second stage is a Poseidon Extreme. Rotating the switch selects open or closed circuit. With a level 1 system. A 'red' alarm on the HUD will trigger a response to switch to open circuit and ascend. With level 2 and 3 systems. The BOV is used as a 'sanity' breath system. This is especially useful in hypercapnic incidents where there is a strong desire NOT to switch off the set to an alternative bailout regulator. The 'sanity breath' allows you to asses the situation and then take the correct action. 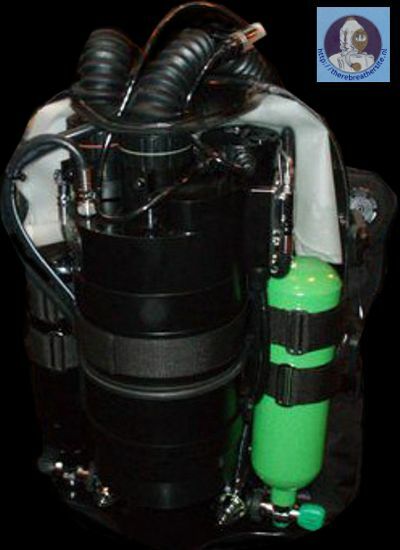 The BOV and breathing hoses are counterweighted to offset buoyancy. The breathing hoses are fitted to the canister head via a dual lock quick-release system, compromising a quarter-turn and a push button. The hose ends are double radial O-ring sealed. The complete mouthpiece and hose assembly can be quickly removed for cleaning as can the CL. The diluent LP circuit is fed from the first stage through a multi-port manifold to allow connection of BCD/suit feeds etc. The HP sensors use a 'dynamic reserve' system. On the diluent side, dependant on depth and an assumption of open-circuit breathing rate, the reserve alarm will vary. Hence in shallow water the alarm will trigger later compared to deep water, still allowing a safe ascent to the surface. Oxygen setpoint control is also dynamic. The set can be put in 'auto-setpoint' mode (only levels 2 & 3 are selectable, level 1 is auto only). Level 1’s maximum PO2 is set to 1.2 other levels are selectable up to 2 bar PO2. Upon submersion the unit will slowly increase the setpoint to the preset during the descent. Once at a stable depth the diver can select the high setpoint themselves or wait until the set automatically switches. Upon ascent the set will remain at the high setpoint until the safety or required decompression is complete and then decrement towards the surface (reducing to 0.7) to avoid unnecessary buoyancy shifts. The loop over-pressure valve is located in the canister base. It is also the water drain. It is unique in that it can be set on the surface for a given pressure and then irrespective of the position of the diver in the water, it will always dump at approximately the same pressure. The cylinders in a level 1 unit are a 3l (diluent) and a 2l (oxygen). Level 2 & 3 sets come with dual 2l cylinders. As the base foot of the case is extendable (or removable) longer cylinders of a similar diameter can be fitted. As the 1st stages are free to move, almost any style of cylinder valve can be fitted. The standard valve supplied is an AP Diving cylinder valve. The unit comes with electronics similar to the Ouroboros with a different human-computer interface (HCI). There are two HUD's, one front and one rear. A Primary display and a Backup display (levels 2 & 3 only). There will be an option mid 2008 for an intelligent Backup display which will double as a data logger and dive computer. All the electronics, solenoid and batteries are outside of the breathing loop. The Primary display connects to the Core Life-Support Module in the canister head via a cable. The Primary does not contain any system control electronics and is just a display. The Core Module provides life-support and decompression status. The HUD's, Backup display and HP sensors also connect into the Core Module. Electronic failure of any display will not affect life-support functionality. The HUD on a level one unit has 3 states. Amber - Your consumables are running low, slowly ascend towards the surface on closed circuit (often this alarm will go away on ascent. Red - Perform open circuit bailout now. You will then be prompted to switch the Primary to open circuit decompression. The HUD on a level 2 & 3 follows the Ouroboros logic and gives additional information on decompression, PO2, solenoid status and general alarms. All HUD's have visual and tactile alarms. The tactile alarm only sounds at extreme alarm levels to reduce 'alarm blindness'. To activate the unit the user can do so in three ways. 2. By entering the water and getting to depth (1.3m approx.). A pre-dive abort alarm sound and be logged. 3. By breathing the unit on land or in the water. This final 'auto-breathe' function is the primary fail-safe. The unit will turn on when it senses breathing and provide a minimum life-support (irrespective of setpoint) of 0.4 PO2. The Primary comes with a colour screen and the Backup display is a 3 x PO2 LCD panel. Both with backlights. The VPM decompression algorithm is available as an option. The unit has a pre-dive check-list on-screen which is activated at every power up. While (in an emergency) it is possible to abort the check-list and start diving. A Pre-dive abort alarm will sound for a period and the abort will be logged in the dive log. The pre-dive sequence is intelligent in that it knows when the filter has been removed (hence the unit has been apart) and how long it has been at the surface between dives and will adjust its' pre-dive sequence accordingly, prompting for more or less checks. The set has oxygen sensor logging (alarming when it is time for a change-out), Voting logic (with manual override on levels 2 & 3) and the ability to calibrate the cells during a filter change when exposed to air. Positioned on the CDM there is also a filter in/out sensor. This triggers when a filter is changed or removed temporarily. This sensor alarms if no filter is present and will force an automatic air calibration of the oxygen cells in the background whenever the filter is refitted or oxygen sensors are re-connected. Exposure to ambient air must be ensured during this procedure and altitude calibration is automatic. Calibrating on air is applicable given sensor failure modes and sensor characteristic modelling. Primary power is supplied via triple-redundant Lithium-Ion rechargeable batteries. The backup display has its' own battery, charged with the main system. Chargers are available for a range of AC and DC voltage sources (mains/car etc.) as well as emergency charge capability via a stand-alone plug in charger pack with its' own batteries (available mid 2008). The CDM is under license from the United States Navy, who have completed hundreds of research dives to correlate the thermal wave front within a filter and compare it with when a given millibar of CO2 breaks through the filter. Further enhancements have been completed by Closed Circuit Research to show filter duration remaining as a bar graph in 5% increments. The CDM can work with all three filter mediums by simply selecting the correct filter during the pre-dive sequence. Backup oxygen metabolism predictor software provides additional fail-safes which operate in parallel with the CDM. All sets are configured with full 'black box' data logging capability of all key parameters. An optional PC link system is available. The set logs usage hours and will prompt for factory service. It is possible to strip the complete breathing loop down to its component parts without any tools. As the hoses and counterlung are quickly removable, cleaning routines are simplified. permission of Closed Circuit Research Ltd.
an intelligent, but simple to use, life-support system (LSS). that makes the Sentinel the quickest and safest LSS to prepare for diving. The Sentinel has a Heads Up Display (HUD) and a colour primary display. screens. All of this combines to make a unique ILS system. PPO2 cells that can ignore data from rogue cells. are not ambiguous and prone to user error. open circuit or not started. If diving, the diver should switch to the bailout gas. seconds, then repeat the 10 second alarm every minute. ascend slowly on closed circuit monitoring the Primary display. intuitively the desired response is performed. why a check is not working correctly. Decompression and Fly time are available from the options menu. then this auto-detection may not operate correctly. or if the last Pre-Dive tests were not completed correctly. from breathing an elevated CO2 level. problem and do not dive the LSS. checks that may affect the performance of the LSS. An abort at any time will clear all previous checks. This will then force a >18hour pre-dive sequence. conditions. There is a timer on the PREBREATHE screen of 5 minutes. been completed. Always complete the pre breathe diligently. time then stop breathing and check the filter and seal. Do not dive! calibration and make the appropriate calibration adjustments for thePPO2, even at altitude. Cell health is also logged and cell changedouts are prompted for. pressure are known. By using ambient air as the calibration gas this is known accurately. b. The breathing loop must be open. And therefore the gas must be ambient air. filter CDM module into the system. The filter detector must be kept clean to ensure correct operation. calibration, then an O2Cell Cal-err warning will be displayed in the Status screen. The dry screen saver will show DO NOT DIVE. The Status screen can be seen in Level 1 units by button pushes when dry, and diving. The Status screen shows detailed status of all alarms and readings taken by the LSS. See full manual for details. be initiated from the Setup screen. However, the canister must be exposed to air and the mouthpiece open. Otherwise an incorrect calibration will be performed. automatic calibration performs reliably without the need for manual calibration. absorbent usage than other inventions of this type. 0% = Completely used canister with a likelihood of CO2 breakthrough. assuming part used filters have been stored in a sealed loop. ensure CO2 is being absorbed correctly by the filter. 5mb there is still considerable thermal activity within the filter. discipline to ensure the sub-systems in the LSS are operating correctly. Below is a graph of the data log from a chamber breathing system test dive. analyses the curve and will generate the appropriate alarm. Partially used filters should be stored in the LSS with a closed breathing loop. The CO2 created by the diver is in direct proportion to the oxygen breathed. corresponding volume of CO2 absorbed before the filter begins to bypass. the solenoid valve and converts it to minutes remaining at CE CO2 rates. minutes will tick down more slowly if the diver is breathing at a reduced rate. (under STACK) and checked for in the alarm system. canister changed or filter reset screens. determine the appropriate state of the filter. accuracy of the back up counter, as the solenoid valve will not fire as often. If in doubt replace the filter and perform full pre-dive checks. diver error, where the LSS is turned off prior to breathing on the unit. occur. Wet contacts can also reduce battery life in wet environments. be reduced by proper training and the intelligent alarm systems. 2. Turn on if ppo2 drops a specified period in a given time. occurred because the diver has not been warned of a dangerous condition. breathed when the unit is off. cells operative, will cause a safe turn-on. diluent until the PO2 falls and the LSS turns on. continue to the pre-dive setup screen do a press of either switch. can be accessed from the Cells option in the Dvo screen. disabled, the system denotes this with an ‘N’ next to the cell. to see how many other cells it is within 0.20bar of. the mission or dive in hand. main display and investigate the additional status information. coupled with unprecedented clarity of information. call to the diver, all LEDs in the HUD will routinely flash once every minute. the diver with essential information in high stress scenarios. o If diving, the diver should switch to the bailout gas. ascend slowly monitoring the Primary display. therefore intuitively the desired response is performed. The Led states are configured for colour blind as well as high stressed divers. Red alarms take priority in the HUD over Green/Blue alarms. The HP contents are displayed for 10seconds after a short press of the right button. buttons from this Status screen. The full summary screen is then displayed. See full manual on description of the summary screen. to your particular preferences and style of diving. get confidence that the LSS is ready for use! Any problems are described clearly on the Main screen and Summary screen. described clearly on the Summary screen and Main dry screen. taken by the LSS. See full manual for details. diver to see the PPO2 even if performing other tasks on the LSS. the LSS is restarted or a dive is finished. Air only diluent and bailout gas system. gas number for these gases. gases. OCB is displayed against the gas number for these gases. against the gas number for these gases. Gas numbers 5 to 8 are configurable as the open circuit bailout gases. OCB is displayed against the gas number for these gases. until this configuration has been made. The default state for the gas configuration is Air. 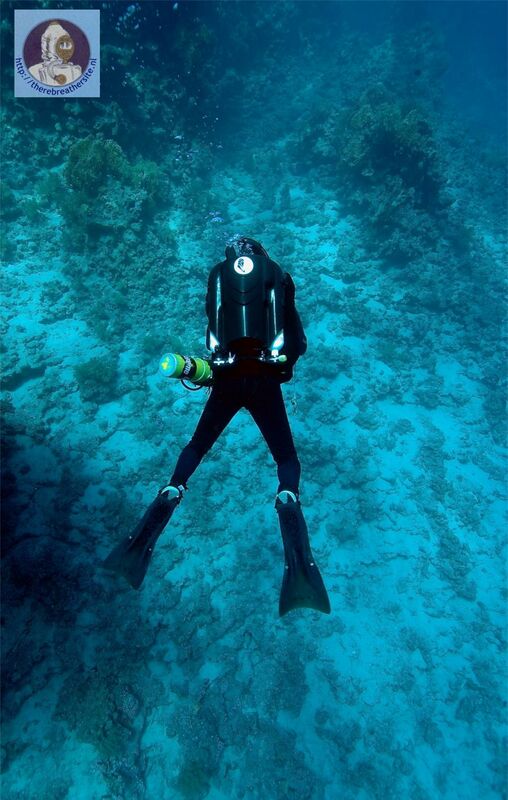 diluent and bailout gases while diving. Level 1 units only run in auto setpoint mode to a maximum of 1.2Bar PO2. Level 2 and 3 units can run in auto setpoint mode, or manual mode up to 2.0Bar PO2. Manual mode allows the user to adjust the LSS setpoint in 0.05Bar steps or quickly to preset values of 0.7 and 1.2Bar. Levels 2 and 3 also allow adjustment of the auto setpoint maximum of 1.2Bar or 1.3Bar. descending with a high PPO2 already in the breathing loop. Sentinel changes setpoint to 0.7Bar minimum. descends beyond 33m the setpoint will not be further increased. The user can override the automation under certain conditions. diver becomes shallower than 6m, the setpoint will return to 0.7Bar. the depth adjustment algorithm described above. to adjust the PO2 accordingly. the PO2, and downgrades the alarm type during these transitions. The Sentinel includes two warning system for the HP contents. For the Level 1 unit, the diluent gas cylinder can also be used for bailout. To achieve this, the diluent gas is monitored along with the current depth. required for bailout, the reserve depth adjustment is much less severe. batteries are very efficient and provide many years of reliable operation. the chance of leakage to a minimum. operation even under multiple battery failure scenarios. giving 1/3rd battery life remaining. the operation of the others. is always maximum capacity for any dive. connector before unplugging the cover. Check that all parts of the charger are kept dry and only used indoors. a car or boat 12volt system. Do not use on 24volt or other voltage systems! Battery level alarms will come on when the main set of batteries get low. mode to conserve battery life. up using the magnetic charger! indicates a fully charged battery. charging the bar goes magenta in colour. is still breathed on during an ascent. normally, but the diver should surface safely immediately. exceeded. Exceeding these limits is not condoned by the manufacturers. the full manual for details. Some upgrades will be chargeable. Other upgrades may be free. of unit is also re-configurable. The LSS comes complete with a single back-mounted counterlung (BCL). enable a configuration with no casing at all, if required. The outer case is available in Carbon or Plastic (available 2008). There are two levels of Travel Mode. base foot slides up into the case to reduce the shipping length of the case. surface), the underwater release pressure is near-constant in any orientation. can also be performed manually. adjusters (no need to remove the cap). 1. User-packed granules using 797 grade absorbent. All three CO2 filter systems will interface with the Canister Duration Meter. Closed Circuit Research recently introduced the new Sentinel rebreather. 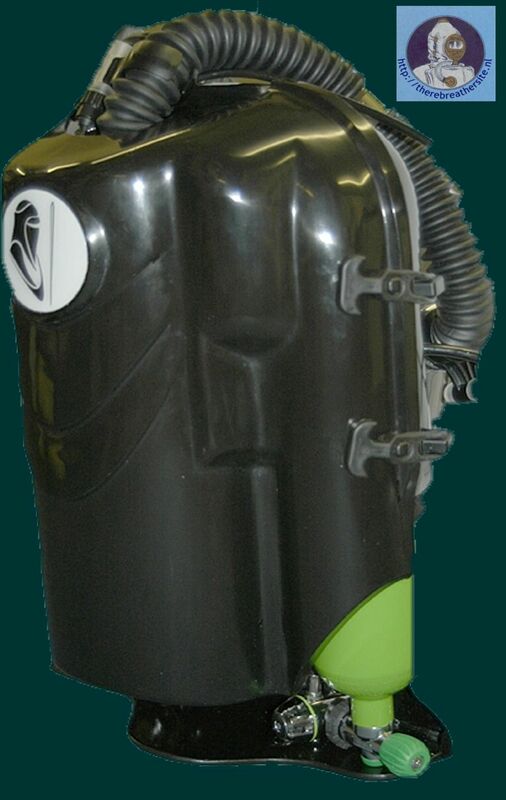 This webpage describes the design and concept of this new rebreather. It is a great document for people who are curious why new rebreathers are introduced to the market. I would like to thank Simon of CCRB for his kind cooperation to make this article public. A treasure for closed circuit rebreather divers! But let's start with some nice pictures! Enjoy the reading.